originally named SS Cape Kumukaki SS Flying Enterprise, a 6711-ton C1-type cargo ship, was built at Wilmington, Delaware, for the U.S. Maritime Commission under the name Cape Kumukaki. 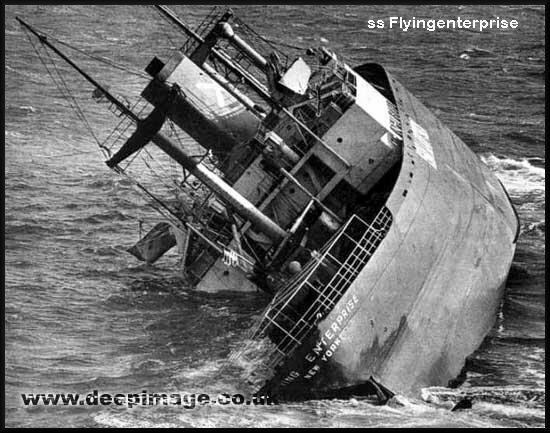 She was obtained by the Isbrandtsen Company in 1947 and renamed Flying Enterprise. 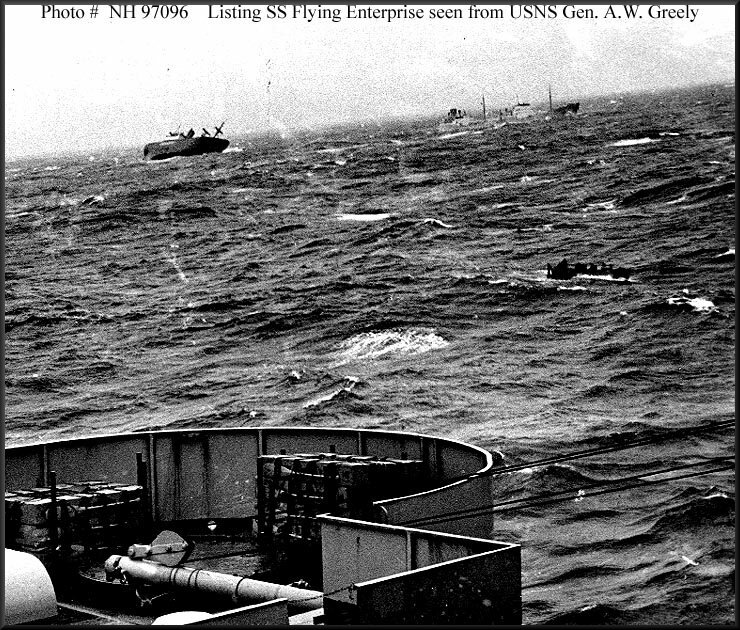 In late December 1951, while en route from Europe to the United States, she encountered a severe North Atlantic storm, suffered hull cracks and took on a heavy list to port. Among the several ships that came to her assistance was the transport USNS General A.W. 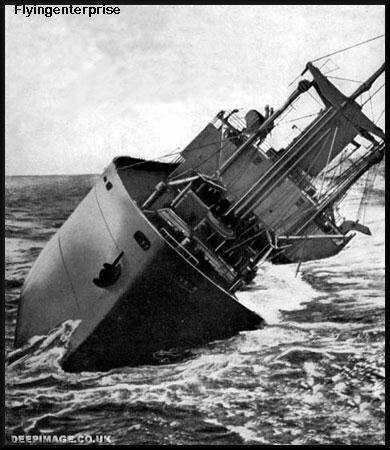 Greely (T-AP-141), which removed many of the damaged ship's passengers and crew on 29 December 1951. 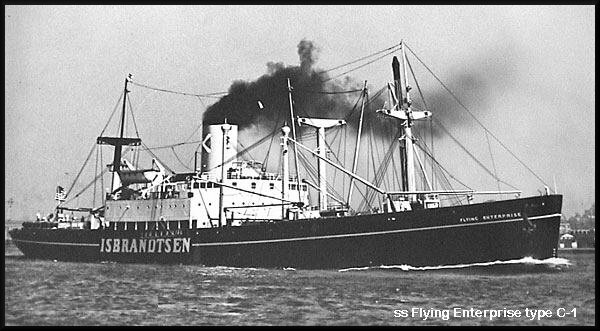 For nearly two weeks thereafter, Flying Enterprise's Master, Captain Henrik Kurt Carlsen, remained aboard his ship as efforts were made to tow her to port. He was finally forced to abandon her when the list increased to a fatal degree on 10 January 1952, only about 40 miles away from Falmouth, England. The ordeal of the Flying Enterprise and Captain Carlsen was World-wide news at the time and remains one of the great stories of endurance and courage at sea.